Week 5 of the Utah State Legislature is behind us, with just a week and four days to go until the last day of the session. With just 9 days left, the crush is on, meaning bills are getting crushed. SB86 Victim Targeting Penalty Enhancements (sponsored by Senator D. Thatcher) remains trapped in the Senate Rules Committee by the Senator Neiderhauser who has been reported to say that the bill will not come to the floor. SB138 Gender Change Amendments (sponsored by Senator T. Weiler) was crushed on the floor of the Senate and did not make it to third reading. 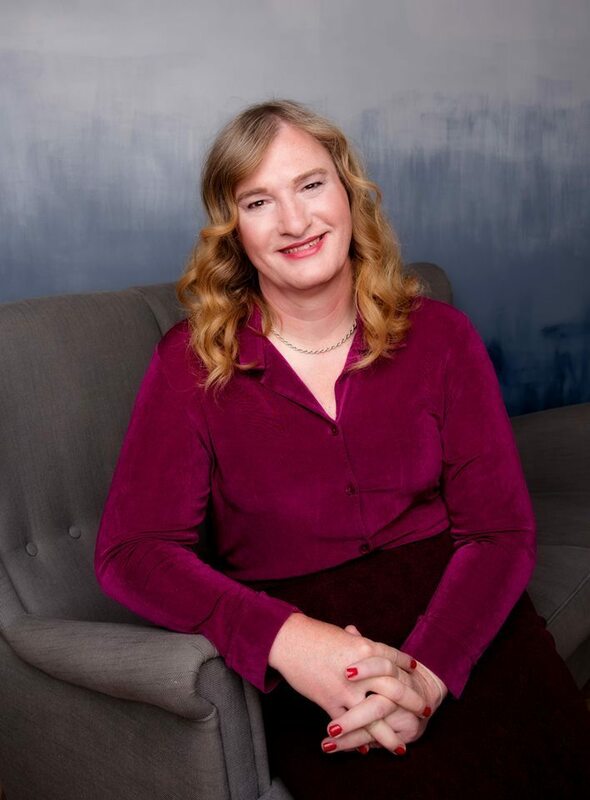 Even though the Transgender Inclusion Project and Sue Robbins, the Chair of the Utah Pride Center, took an active part in helping Senator Weiler draft an amendment to the bill to make it more likely to pass, it didn't stand much of a chance when both the Eagle Forum and Equality Utah publicly stood in opposition to the bill. Utah's only LGBT legislator, Senator Dabakis, reportedly also spoke against the bill. Equality Utah publicly opposed the bill because they felt the amendments did not go far enough, by not providing for provisional gender marker change for people under 18, and that the original birth certificate would be sealed. They stated that they did not want to see our trans youth left behind. I can agree with the fact that the original birth certificate needs to be sealed, but rejecting the bill because it lacked instruction for provisional gender marker changes is an example of "perfect being an enemy of the good." Trans kids under 18 eventually turn 18. Knowing that when they turn 18 they have a process by law to change the gender marker in their birth certificate gives them more hope than they now have if they live in a rural community, where judges refuse to grant gender marker changes at all until they see it in the Utah State Code--exactly what SB138 would provide. In addition, adding the provisional clause when the Eagle Forum was already targeting the bill would give them more ammunition to destroy the bill. Finally, there are reasons why Gender Confirming Surgery by WPATH standards is predominantly not performed on youth under 18, even with parental permission: there are reported cases of gay and lesbian people who go through a period of cross-dressing while exploring their own gender, an issue that is usually resolved by 18. However, now that we have determined to support provisional gender marker changes, we cannot back away from it; but need to add its necessity to our advocacy and education plans, finding a way to disrupt misinformation from organizations like the Eagle Forum. With regard to this week's bills, since the legislature did not meet on President's Day, there are only 12 bills that crossed my path that impact our communities or businesses that I have not previously covered. They run the gamut of prescriptions and drugs to cellular infrastructure and suicide prevention. Senator Mike Lee made a special visit to the Women's State Legislative Council, and there was one concurrent resolution supporting our firefighters. Let's take a look at Week 5. SB184 Pharmacist Prescription Authority Amendments (sponsored by Senator T. Weiler): This bill allows a pharmacist who maintains training in the prescription of self-administered contraceptives to prescribe those contraceptives to a woman over 18 for up to three years without seeing or being referred to a primary care physician. The law would mandate that the woman be encouraged to see her primary care physician for testing.The pharmacist would also be required to refer the woman if there are any contra-indicators of safety after a required screening. SB184 is currently on the Senate Second Reading Calendar. SB190 Underinsured Motorist Coverage Amendments (sponsored by Senator C. Bramble): This bill is a response to Truck Insurance Exchange vs. Rutherford in which the US Supreme Court held that an "underinsured motorist (UIM) insurer must fully compensate its insured within its policy limits but only for damages in excess of what was paid by workers’ compensation so as to avoid an inappropriate double recovery." SB190 clarifies the Utah State Code so that it reflects the decision in the case. SB190 is also currently on the Senate Second Reading Calendar. SCR7 Concurrent Resolution Honoring Firefighters and Fire Prevention Efforts (sponsored by Senator J. Iwamoto): This bill acknowledges the work and sacrifice of the men and women working in fire prevention, fire suppression, and fire investigation, who have dedicated their professional lives to the prevention and reduction of loss due to fire. SCR7 is currently on the House Special Orders Calendar. HB324 Tobacco Regulations Amendments (sponsored by Representative B. Last): This bill establishes new requirements for the licensing of a tobacco retailer and amends the definition of smoking. It is intended to further curb selling tobacco to minors by requiring the local health department to certify that the retailer meets restrictions identified in the Utah State Code before applying for a business license. It also redefines a tobacco retailer to be identified as any location that has 30% more of its retail in tobacco products, 20% of the floor space, shelf space, promotion space or storage space dedicated to tobacco products, or have a name that reflects the sale of tobacco products. Smoking is amended to include shisha, defined as any products "smoked or intended to smoked in a hookah or water pipe," making it unlawful to use hookahs and water pipes in public establishments, like restaurants and bars. HB324 is on the House Third Reading Calendar for House Bills. HB279 Design Professionals Liability Amendments (sponsored by Representative K. Christofferson): This bill is meant to protect design professionals such as architects and landscapers from being forced to legally represent their clients for any damage that is caused, unless by a professional breach of contract , negligence, recklessness, intentional misconduct or negligence by the subconsultant. It does this by prohibiting a provision in a design professional services contract that requires a design professional to indemnify, hold harmless, or reimburse a person for attorney fees or other costs, except in the case of: the design professional's breach of contract, negligence, recklessness, or intentional misconduct; or the design professional's subconsultant's negligence. HB279 is currently on the House Third Reading Calendar for House Bills. HB127 Controlled Substance Database Act Amendments (sponsored by Representative J. Fawson): This bill requires all prescribers to check the Controlled Substances Database before presrcribing opioids unless they are providing urgent care or the database is unavailable. This bill is on the House Third Reading Calendar for House Bills. Senator Mike Lee visited the Women's State Legislative Council board meeting on Wednesday, speaking in support of the ant-suicide task force agenda, and answering questions related to medical marijuana and safety in our schools. The discussion about medical marijuana turned on the point that congress needs to delist marijuana as a Class I drug, a listing that prevents it from even being studied for medicinal effects. When asked about gun control, Senator Lee stated that it's hard to tell the difference between an AR-15 and a hunting rifle, a point that many people disagree on. When I asked Senator Lee if we could restore funding into researching the mitigating causes of mass murders, he asked where the funding originated. He took a note that it was the CDC and said he will look into it. SB189 Small Wireless Facilities Deployment Act (sponsored by Senator C. Bramble): This bill is a compromise between wireless service providers and the League of Cities and Towns to allow the build out of the next generation 5G cellular infrastructure, which will provide cellular data rates 40 times faster than 4G, the current top end standard. The data rates are also quoted as necessary to support autonomous vehicles. The concern of cities, when they were flooded with applications from various providers and cellular infrastructure builders was the proliferation of various forms of equipment in the right of way, safety concerns, and esthetic concerns. Devices ranged from microcell antennas, which are little more than hand-size boxes typically hanging between poles over 10 feet off the ground, minicell antennas, which are larger and pole-mounted, and macrocell antennas, which require their own supporting equipment the size of a refrigerator. When the cities were balking at the number of requests, concerned about how much colocation can be permitted, the potentials for damage, and what to do with neglected or abandoned equipment, the providers (AT&T, Verizon, Crown Castle and others) sued the cities for compliance, and started getting legislators in the cities to run bills supporting their build out at minimum cost. When Senator Bramble presented this bill at the committee hearing, he said "This is not the bill we want to pass," and asked for the faith and support of the providers and the League of Cities and Towns, because he is going to amend the bill on the floor with the compromise worked out at noon that day. Surprisingly, but hesitantly, the stakeholders agreed, pending the compromise to be added to the bill. SB186 is currently on the Senate Second Reading Calendar. SB201 Private School Liability Protections (sponsored by Senator T. Weiler): This bill attempts to bring the same liability protections to private schools that exists for public shools. This means that they would be protected from physical injury suits unless the school could be found to have committed gross negligence, in which case they would be limited to paying no more than $1M for a single person, or $2M in total for a single incident. SB201 is currently on the Senate Second Reading Calendar. HB87 Suicide Prevention Training Amendments (sponsored by Representative J. Fawson): This bill requires all physicians and osteopaths to take a course in suicide prevention to obtain or renew their license. A waiver is available for those doctors that can demonstrate that they do not need the training. According to research by the sponsor, 60-70% of suicide victims in Utah had seen a physician prior to committing suicide and 80% of physicians interviewed said that they had no training in suicide prevention. The American Medical Association did their own survey and found that 98% of the people surveyed had suicide prevention training. They were also concerned about increased secondary traumatic stress that would increase among doctors as they were expected to identify and treat potential suicide cases. They also noted that physician assistants and nurse practitioners should be added to this bill, because many patients, especially in rural areas don't see a doctor. This bill is currently on the House Third Reading Calendar for House Bills. HB156 Family Leave Amendments (sponsored by Representative E. Weight): This bill would guarantee six weeks of paid leave for new parents who are state employees, to be be used in conjunction with unpaid leave time guaranteed by the Family Medical Leave Act. This has tremendous benefits to society, including allows parents to be able to afford the time to bond with their child, especially if the mother is healing during this time. Testimony also revolved around women who felt they were punished for having children. Deep departmental surveys revealed each of the departments were capable of absorbing the costs and maintaining services. This resulted in a fiscal not that stated that there would be zero cost to the state. Legislators on the committee refused to believe that there would be zero cost, claiming that a cost would be incurred somewhere.Finally, Representative Dunnigan noted that if they add all the current sick and vacation time together,it would already account to five weeks of paid leave. With that comment, the committee voted to hold the bill. HB407 Assistance Animals Amendments (sponsored by Representative J. Dunnigan): This bill expands the rights of disabled people to have an assistance animal without having to pay an additional deposit for housing. HB407 is currently on the House Consent Calendar. That was quite a few bills, and represents a lot of activity going on up at the hill. The schedule for next week promises another intense with 19 bills slated for the Business and Labor Committees on Monday alone. Sophia Hawes-Tingey is the Legislative Liaison for the Utah Gay and Lesbian Chamber of Commerce, the Co-Chair of the Business and Labor Committee of the Women’s State Legislative Council of Utah, a Member of the Board of Directors for the Transgender Inclusion Project and Utah Stonewall Democrats, the Vice Chair of the Community Council of Midvale, and co-founder of People Empowered, LLC. You can visit Sophia’s webpage at http://www.sophiahawes.com or follow her on Facebook and Twitter.